What a way to end the year! We were as excited as anyone to see that, after years of stalling and disagreement – between developing and developed countries, in particular – a historic climate change agreement was hammered out at COP21 in Paris. Historic because, for the first time, the accord incorporates all of the countries of the world and commits them to keeping global warming to well below 2 degrees Celsius. The goal is a carbon-neutral world by 2050. Is it the perfect agreement? No: the reduction targets being set by countries are not legally binding. However it represents global recognition that climate change must be addressed, which will likely have a domino effect on national and sub-national policies as well as investment. We believe that December 12, 2015 will be remembered as the day we turned the corner and began the journey down a new, safer, cleaner and healthier world for you and your children and grandchildren. When you consider that we also have a federal government that has made it clear that they are going to lead on climate change – including having played a critical role at COP21 – and many of the provinces are ramping up their efforts, it’s hard to feel anything but optimistic as we head into 2016. GRI Canadian community leader. The Global Reporting Initiative (GRI), the leading standard setter for sustainability reporting, has appointed Delphi as their Canadian community leader. 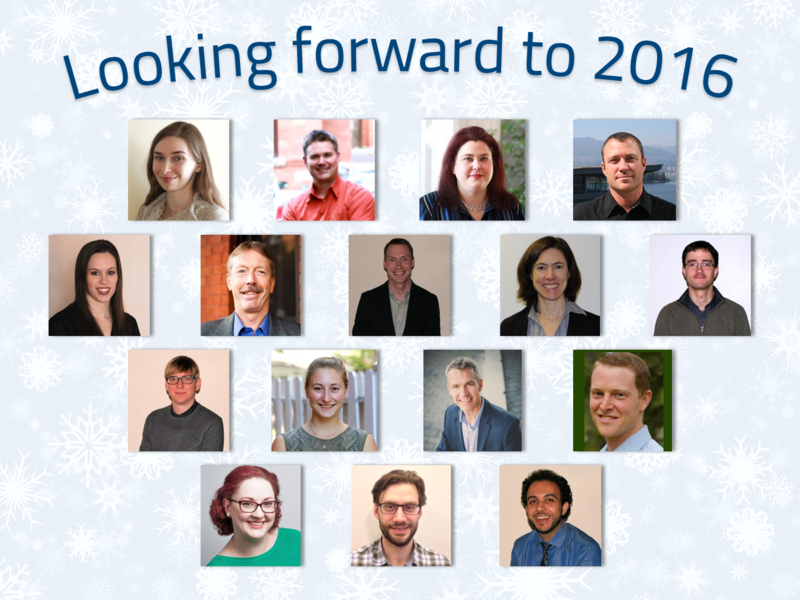 Our mandate is to help them help others use the GRI to advance sustainability reporting, and we look forward to helping many of you with your reporting efforts in 2016. Oil and Gas Sustainability Management Initiative. Following a confidential surveying process, we launched this initiative in partnership with six companies. The Initiative is the first of its kind and will focus on embedding and incorporating sustainability into business strategy and operations in the oil and gas sector. Trident™ (GHG Emissions Assessment Tool). Delphi developed Trident™ as a decision-making tool: it helps organizations model different kinds of scenarios so they can select the optimal energy efficiency and carbon reduction opportunities. In 2015, BC Hydro co-funded Trident™ to be used among a number of BC municipalities, and we believe this is just the beginning as we start to accelerate towards a low-carbon economy. Canadian Clean50 and Clean16 for 2015: Mike Gerbis was humbled to be named to the Canadian Clean50 and Clean16 for 2015. We don’t do what we do for the recognition, but Mike truly appreciated being part of such a preeminent group of sustainability leaders. This is an amazing time. We have alignment at different levels of government that is new and exciting. There is greater engagement in the private sector on the value of sustainability, GHG reductions, energy efficiency, and stakeholder engagement and transparency, than ever before. We at Delphi feel like we have an opportunity and a responsibility to demonstrate how sustainability and climate action can improve the economy and people’s lives. After working on these issues for years, we are excited to be part of the change. In particular, we plan to leverage our knowledge and expertise in the green economy to help Canadian companies and governments make strategic decisions about what to do differently given the outcomes of COP21. We look forward to working with you to help champion sustainability and invest in your organization’s future as well as your own! We wish you and your family a very happy holiday season, and can’t wait to see what 2016 has in store.